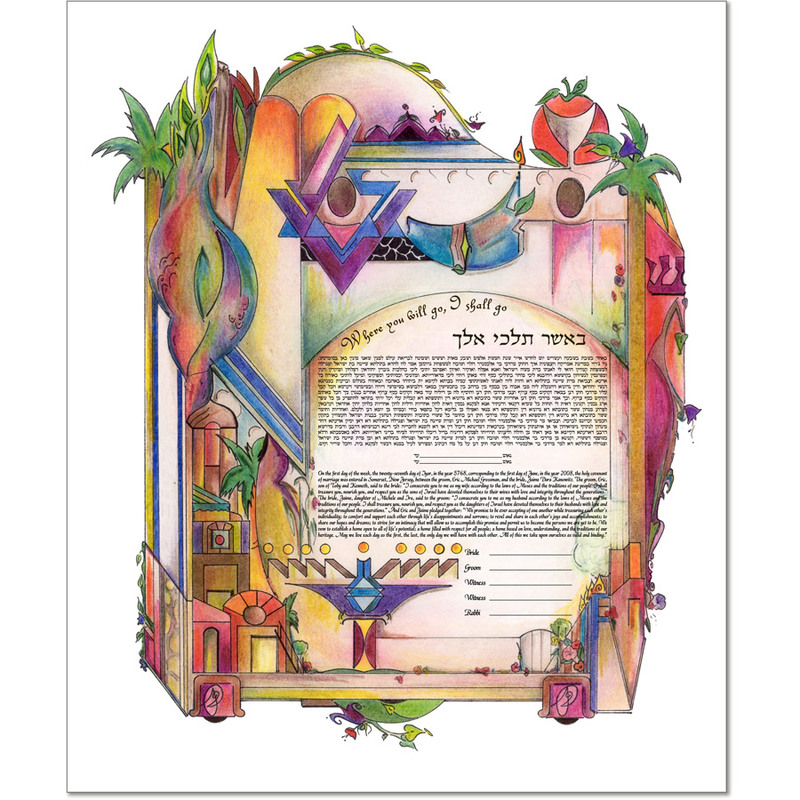 Residing in Palm Harbor, Florida, Valerie Ross works in a variety of media, with a focus on pastels, pen and ink and colored pencils, as seen in her brilliantly colored ketubah designs. Raised in a Jewish home, the symbols of her heritage have always surrounded her, and her creativity was encouraged by her parents from an early age. 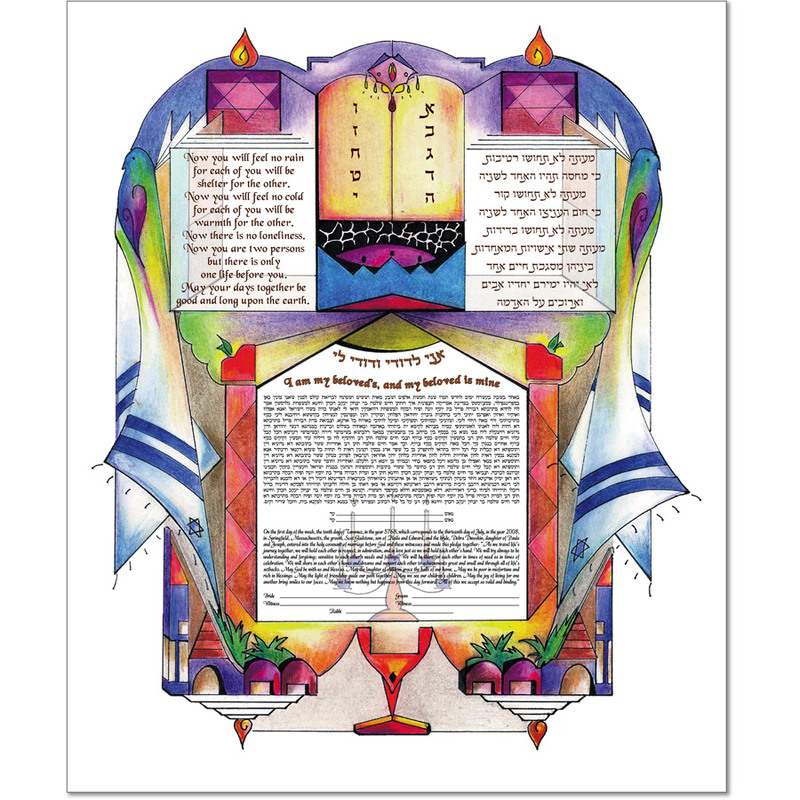 Designing Jewish New Year cards in black ink and selling them was the starting point of blending symbols and tradition together. Eventually bringing in color and meaning, her drawings became more intricate pieces of artwork that held a significant connection for special milestones. Valerie Ross is a graduate of Michigan State University in East Lansing, Michigan, with a B.A. in Liberal Arts. She is a devoted mother and wife, together raising three wonderful children. Her artwork continues to be created in her studio and much of her works are private pieces in Michigan, Illinois, California and Florida. Pastel wall art is available in Sarasota, Florida. Designing Ketubbah is a multifaceted project which is challenging in each design phase. From the pencil thought process of symbols, placed harmoniously, to the ink details and beauty of colorization, then finally the placement of words, the artwork comes to life. Each piece is a personal story and beautiful way to express heritage.